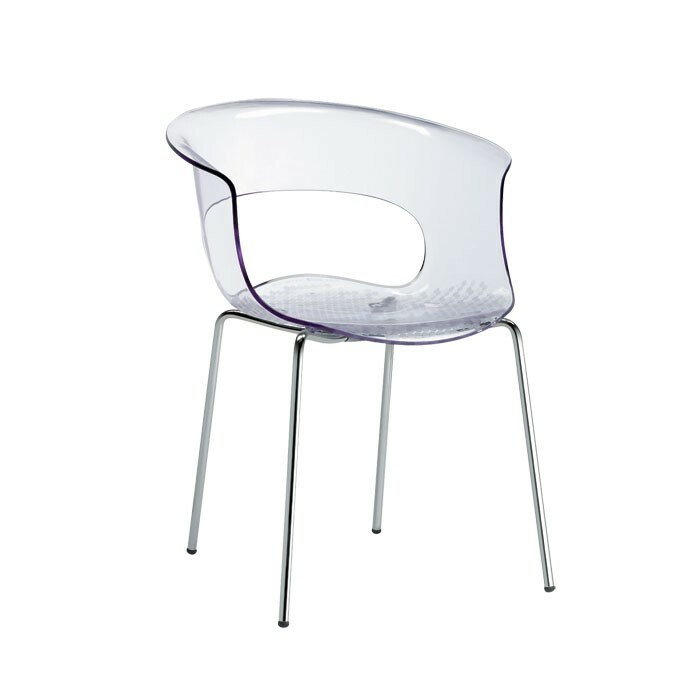 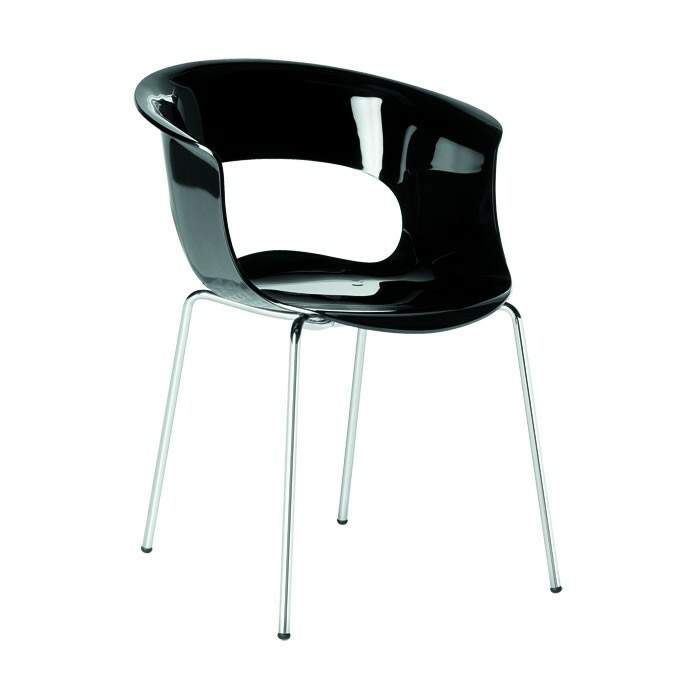 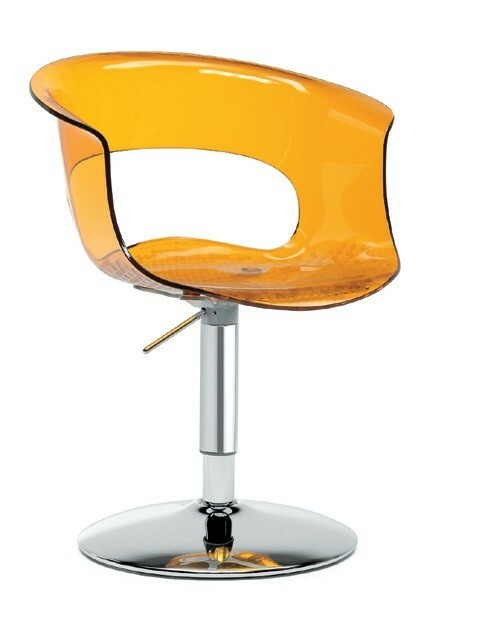 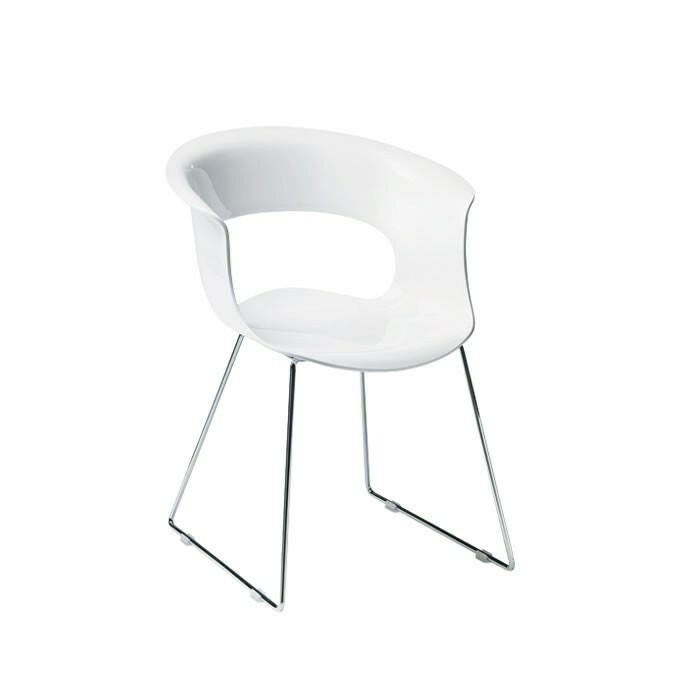 Polycarbonate chair with Chrome frame. 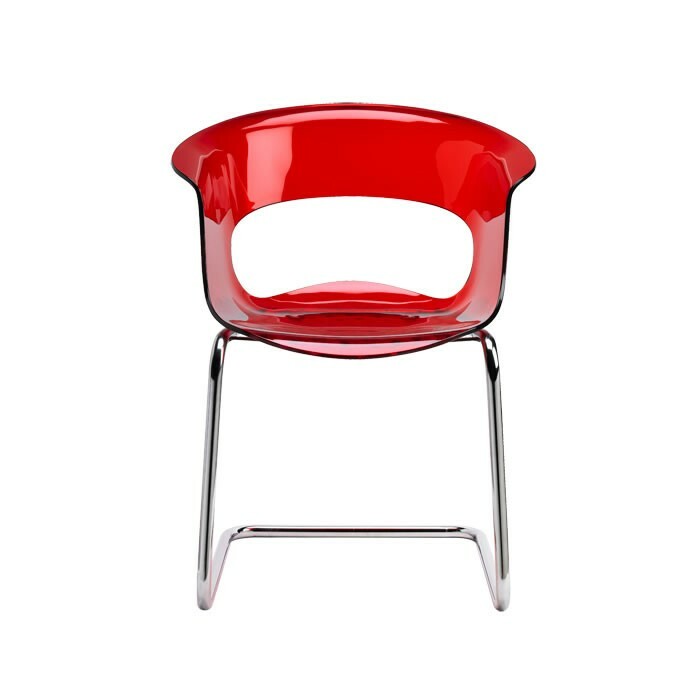 Available in colours Transparent, Translucent Orange, Translucent Red, Translucent Lime Green, Translucent Smoked, Glossy red, Glossy White and Glossy Black. 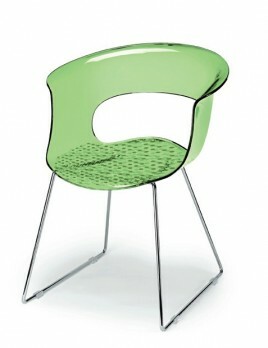 Stackable and suitable for outdoor use..